Do large ski resorts intimidate you? Do you prefer more intimate resorts where the trail map doesn’t appear to stretch on into other continents and yet covers enough terrain to excite you?A place where every level of skier or rider in your family can spend a full day exploring the resort and still meet up easily for lunch or après-ski without traversing multiple mountains? Powderhorn is that place. Situated 4,000 feet above the valley, on the edge of the world’s largest flat-topped mountain, the Grand Mesa, and covering 1600 acres, Powderhorn Mountain Resort may be one of Colorado’s best-kept secrets. Just a three-to-four-hour drive SouthWest of Denver, Powderhorn is far enough away to be less crowded than larger resorts to the East, and yet close enough to make it worth the drive for the same reason. And then there’s the views! From the top of the mountain, and even just from the parking lot, you’ll need to catch your breath while taking in the vast mesas as far as the eye can see. Powderhorn is becoming well known for its’ glade skiing and diverse terrain. Zip through the Aspens or jib your way through the terrain parks. There’s even a tubing hill for some great family fun. 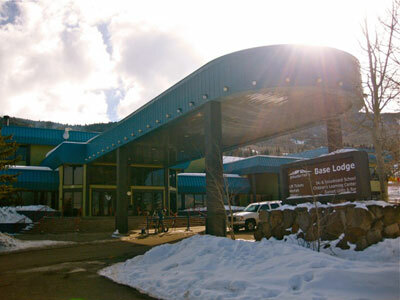 At the base, you’ll find a mountain-top BBQ Grill, cafeteria-style dining, cozy shops, the ticket office and ski rental all in one place. There’s also the Slopeside Grille a short walk away for restaurant-style dining in a rustic, relaxed atmosphere. 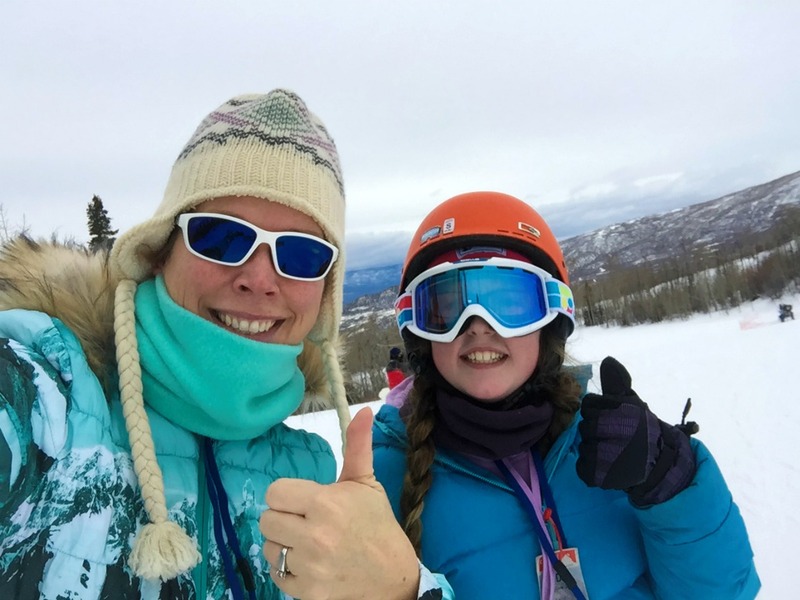 Lift tickets and lessons are reasonably priced for age eight through adults at the Ski and Ride School. You’ll find the Children’s Learning Center for the younger ones to be a very friendly environment where kids can learn to ski or ride, eat and play all in one place. The morning we arrived with our five-year-old, she couldn’t wait to join in on the fun she saw happening in the play area before heading out on the slopes with her instructor. Lodging at Powderhorn is limited to the rustic Slopeside Inn for the die-hard skiiers who want to walk to the lifts every morning, or the Goldenwoods Condominiums which can accommodate small to large-size families. But, for a completely different and altogether unique experience just 30 minutes away, you can stay in Colorado wine country in Palisade like we did at the Wine Country Inn. It was worth the drive. A little bit further is the city of Grand Junction where you will find many large national chain hotels, a variety of restaurants, shopping and nightlife. 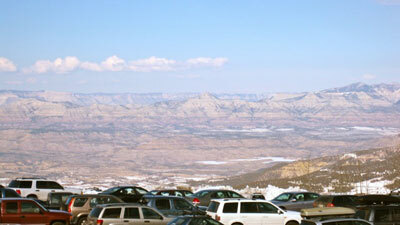 Disclosure: Powderhorn Mountain Resort hosted us for the purposes of writing this review. No other compensation was provided. All opinions expressed are my own and without influence by Powderhorn Mountain Resort. 10 Reasons to Visit Breckenridge Beyond Skiing - in Winter and in Summer!